Established in 2009 CLINICAL ENGINEERING LTD is a family run business with over 30 years combined experience in the medical sector. We understand our customers' needs and we are a company you can rely on for fast, effective and efficient service with quality at the forefront and cost effectiveness always in mind. Medical equipment is key in providing vital information to you and therapy to your patients. It is essential that it is working constantly and correctly. And for you, as medical equipment owners and managers, it is a major investment financially. We are here for the full lifetime of your equipment from supply through to service and then disposal. Previously owned, fully serviced equipment available at excellent prices. Serviced by qualified engineers through its lifetime. Disposal facilities in line with all legal and technical requirements. Cost Effective.... We will always recommend the most economical route for your business. Reliable.... Our engineers will turn up when booked, on time and smart. Online Ordering.... Select from a large range of products available on our store. Great Service.... A friendly and knowledgeable team are always available to help. Peace of mind.... All equipment purchased through us has a 90-day warranty. Account Management.... We will contact you when your items are up for their yearly service, meaning you can focus on the service you are providing to your customers. 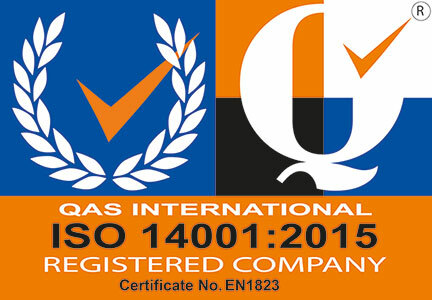 Quality Assurance.... Our company prides itself on a thorough knowledge of the requirements of a quality standard. Procedures are in place to ensure that parts are fully traceable, engineers are qualified to undertake work and job reports are completed accurately and promptly. Full Records.... Paper records are currently retained for 50 Years. Our complete records are also stored electronically, backed up regularly and will be retained for the period which you, the customer, stipulate. Proud to be in partnership with IAA and an AUTHORISED INSTALLER in the country of the United Kingdom and Ireland for MEC Medical Ltd. for Ambulance Pipeline Equipment and Accessories.